Aviation minister Jayant Sinha today denied that "VIP culture" was prevalent at Indian airports, saying that leeway given is only for security reasons. 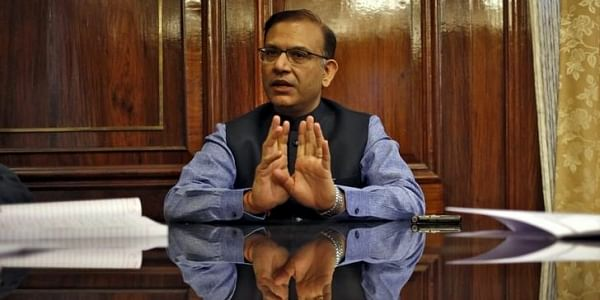 NEW DELHI: Aviation minister Jayant Sinha today denied that "VIP culture" was prevalent at Indian airports, saying that leeway given is only for security reasons. Speaking days after Union Minister of Tourism Alphons Kannanthanam was confronted by a passenger at the Imphal airport who alleged delay in her flight to Patna due to VIP movement, Sinha said that the distinction among passengers at airports was merely for security purposes. "Let me very clear, there is no VIP culture in airports at all. Ministers just purely from a security point of view who are in the Union council of ministers and a variety of other people whose names are on the list don't have to go through security screening. "Otherwise by and large anybody else is treated in the same way as business class passengers and no different," Sinha said while responding to a query at a literary festival here. In India, there are 32 categories of VIPs and VVIPs exempted from pre-embarkation security checks at airports. "In other countries also there are different protocols with respect to security for different types of officials. I can assure you that the manner in which people are treated - as far as security is concerned- it is the only place where there is any distinction". "I carry my bag, I stand in all the same lines as you do, as do a majority of my colleagues, only I don't have to go through security," Sinha said. Responding to a query on the proposed disinvestment of Air India, Sinha said that the process was underway. "The process of disinvestment of Air India is underway. We have a time bound process by which bids have to be made. The process should not take not more than 6-8 months after which the closing process will begin which should take a couple of months more", Sinha said. Earlier in his address, commenting on the upward swing in the economy, Sinha said that India's contribution to global GDP is second only to China.